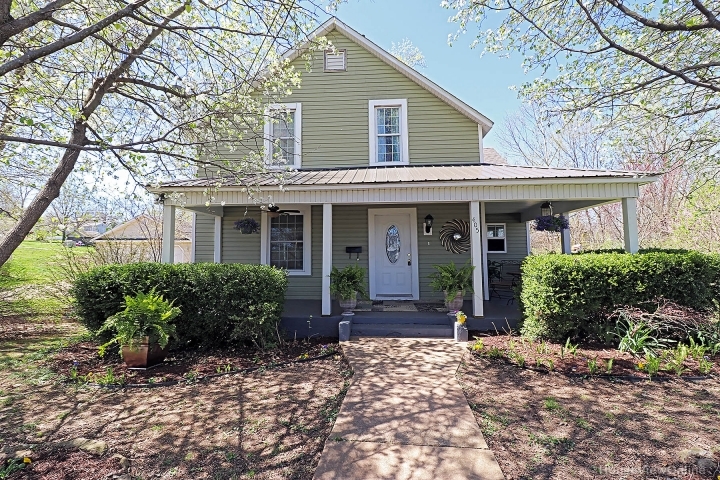 Updated 3 bedrooms, 2 bathrooms 2-story charming home with wrap around front porch. The grand entryway with a sweeping staircase draws you into a voluminous layout made for entertaining. Offering original, newly-refinished, hardwood floors throughout most of the home. You will enjoy the great floor plan with lots of spacious rooms and natural daylight from all the beautiful windows that this home offers. Large open kitchen with beautiful new laminate floors, center island, new counter tops, new appliances and walk-in pantry for the cook in your family. The gardener in your family will enjoy the large yard with plenty of room for your own beautiful garden with detached storage shed with overhead door. This one will not last long! Call to see this home now.